Waterfront Beach House. This beautiful four bedroom beach house was built in 2016. The home is located on Beach Point set on a low dune. Nice views of the bay from both inside and from the decks. Relax and enjoy brilliant sunsets right from your beach house. No beach stairs; just an easy walk over the dune path to your private white sand beach. 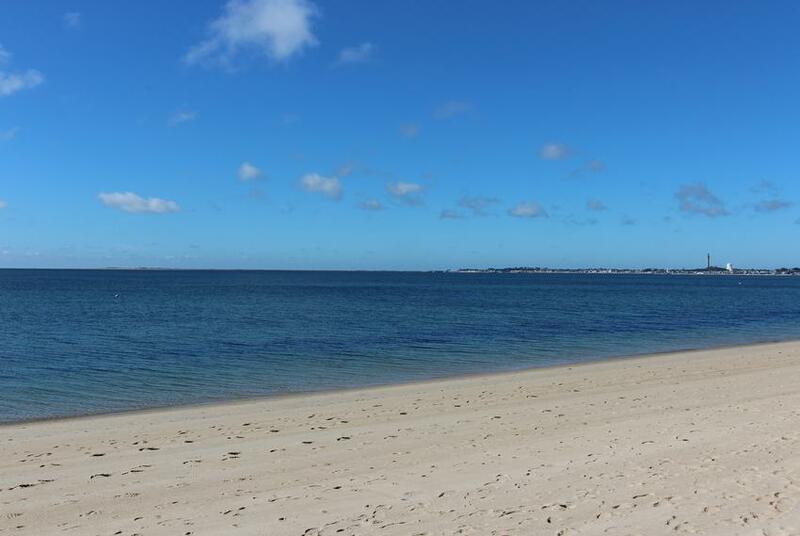 Relax on the beach enjoying panoramic views spanning from Provincetown Harbor to Welfeet. Open living space with views of the bay from the kitchen, dining area and living room. Nicely furnished with good lighting and air flow. The home is air conditioned with and heated with a ductless system with air handlers in the three upstairs bedrooms and the living room. All the bedrooms are nicely appointed. Spectacular second floor master bedroom with comfortable furnishings, ceiling fan, bay view and 40 inch flat screen TV. The cathedral ceiling and windows provide a bright open feel to the space. The private deck off the master bedroom is a great spot to relax and enjoy the view. Bedroom 2 upstairs with Queen bed. Bedroom 3 upstairs with Double size bunk beds. Bedroom 4 downstairs with Twin size bunk beds with mounted wall fan. Spacious main deck for lounging and enjoying the cool breeze off the bay. Nicely furnished with dining table, umbrella, sitting area and loungers make the deck perfect for hanging out. Gas BBQ grill and outdoor shower enclosure with hot and cold water. Enjoy life on the beach in this new waterfront home on the bay! Last Available Summer of 2019 Weeks. Beginning on Saturday: 8/10, 8/24, 8/31, May - June & September - October weeks. September 7 - November 2 $2,500 per week. $1,000 Security Deposit, $50 Booking Fee & 12.45% State & Local Short Term Rental Tax.